In an article titled “A Sweet Job” in the April issue of G.I. 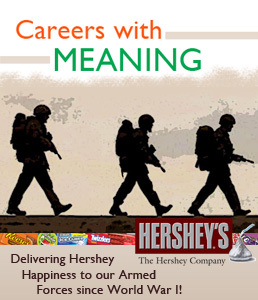 Jobs, Len Vermillion profiles veterans in logistics careers with The Hershey Company, the #1 chocolate maker in the country. Vermillion visited the facility in Chocolatetown, USA, where he interviewed Veterans John Kleinfelter and Sryhan Biray, and provides a glimpse into their respective careers with Hershey. The two had vastly different military experiences, yet they were both trained in logistics during their time in the service and use that training on a daily basis. Coupled with the profiles of Kleinfelter and Biray, Vermillion offers an attractive snapshot of a Logistician career that includes Average National Earnings of $70,800 and an expected growth rate of 26%. Here at Orion, we’ve seen veterans excel in Logistics and Supply positions such as Supply Chain Analysts, Operations Management, Quality Engineering and Improvement, as well as Inventory Control Management. Many veterans have experience moving people, fuel, and material over long distances under difficult conditions. 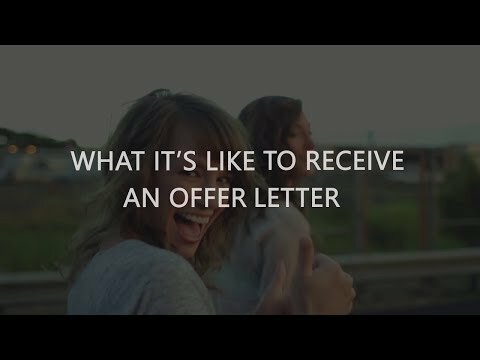 They are mission-oriented and adept at overcoming obstacles to assure success. These veterans are able to evaluate multiple variables in constantly changing conditions to get the right amounts of what they need where they need it. Vermillion’s article showcases just how well these veterans are stepping into civilian logistics roles. Click here to read the full article and here to learn about careers with Hershey.